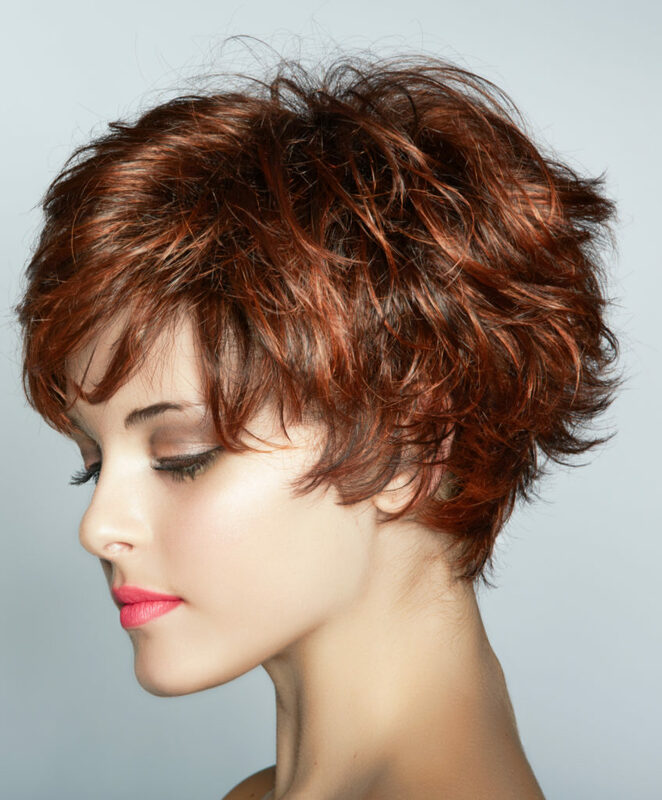 This is a sassy looking short choppy shag with nice soft bangs and side sweeping layers. 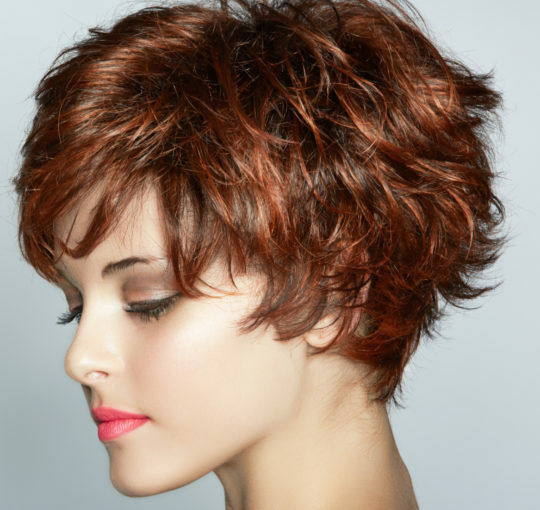 There is hot red copperish highlights troughout the rich medium brunette hair color. This is a easy hairstyle to style since this is naturally wavy curly hair. If you are looking for top rated hair salons in Los Angeles, I have a 5 star average on Yelp and Google.